Those two locations you circled out are the under-wing refuelling pods, mounted on pylons (where, I suspect, the A340 outboard engines would be). 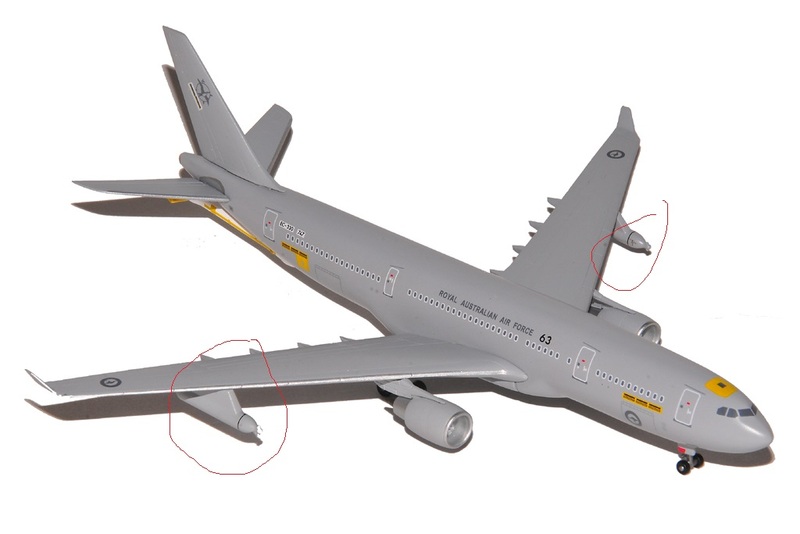 You can find a picture of them on the A330 MRTT Wikipedia entry, under the Design section. Not the answer you're looking for? Browse other questions tagged military propeller airbus airbus-a330 tanker or ask your own question. What is the optimum separation between contra-rotating propellers? What are these accelerating flare countermeasures called?